﻿ Interview about Ayurveda and Self-Care Tips For Massage Therapists! We had the pleasure to interview Ayurvedic Doctor Rani Gupta in Delhi, India, last year during our 8 months tour around Asia. She talked to us about the Ayurvedic Science and explained how it differs from modern medicine, what its strengths and weaknesses are, and she even gave some self-care tips for massage therapists! MATW: Why Is Ayurveda Referred To As A Holistic Science? Rani Gupta: The Ayurveda sees a person as a whole and treats a person as a whole, as a unit. As opposed to modern medicine, that treats a person based on the local problem or disease, and has departments for treating eye illnesses, ear illnesses, etc., that work locally on a certain disorder. In Ayurveda, whenever a person visits the doctor, we look at the person as a whole, taking into account factors such as his or her bodily constitution (prakriti), temper, lifestyle, digestion, etc., so even if the problem is a knee injury, or migraine, we look at the entire package and take into account everything while making our diagnosis and treatment plan. This is why Ayurveda is referred to as being holistic. MATW: Which Are The Main Differences Between Ayurveda And Modern medicine? Rani Gupta: I believe that the biggest difference is in the approach. Ayurveda has a holistic approach as it treats the individual as a whole, as opposed to focusing only on the local disorder. Also, the primary aim of Ayurveda is to maintain health rather than cure disease, so there is a focus on prevention over cure, unlike in modern medicine, where curing illness is the primary goal. So I would call Ayurveda a lifestyle science, rather than a medicine, due to the importance it gives to prevention and preservation of good health. MATW: What Is The Strength And Weakness Of Ayurveda? 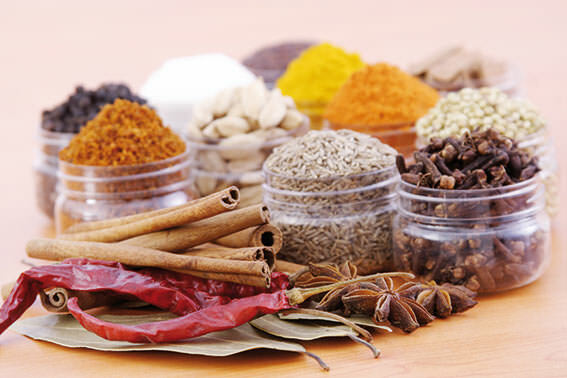 Rani Gupta: The principal strengths of Ayurveda are related to it being a preventive system. First of all, in Ayurveda we have great tools for cleansing the body of toxins, mainly through the Panchakarma treatments. So instead of suppressing the toxins and worsening the state of health, we are able to remove them from the body and improve overall health. Ayurveda is also very valuable in the treatment of chronic diseases, because of its focus on prevention and holistic health. I would say that a weakness is that Ayurveda is not very effective in treating emergencies and accidents, in these cases modern medicine is better. Also, sometimes the palatability (agreeable to be eaten) of the Ayurvedic medicines could be improved. As they are made of natural ingredients, sometimes the patients prefer to take a regular pill instead of various Ayurvedic decoctions, so this can also be seen as a weakness. MATW: Any Self-Care Recommendations For Massage Therapists? Rani Gupta: Massage plays an important role in Ayurvedic therapies and is used for maintaining good health as well as curing specific imbalances. Massage is a strenuous work, and it can be draining both physically and mentally. With many clients or patients a day, it is physically exhausting, but it can also be hard on an emotional and energy level. Many times massage therapists become the second doctors, they work near the clients every day, they listen to the client´s worries and problems, and this can result in mental pressure. Is is important for a massage therapist to have a positive attitude, and to give out positive vibrations, because if he or she transmits negative frequencies, the healing process might suffer, and both the client and the therapist will end up feeling worse. I believe that Yoga is the best practice for massage therapists, because it works on the physical as well as mental part of the being, and can be a great self-care tool for anyone working with massage or any kind of bodywork. MATW: Why Is It Important To Spread The Awareness Of Ayurveda Around The World? Rani Gupta: In today´s world, we live disconnected from nature, we suffer from stress, poor personal relations, don´t follow our biological clock, etc. I believe that Ayurveda can help us to connect with nature, can help us to heal naturally, and live in sync with our surroundings. I believe that it is very important to spread the awareness and practice of Ayurveda and hope that many people can benefit from it. We are excited to have Rani Gupta as a collaborator of Massage Around the World, click here to view her profile. You are what you eat. And if you choose the healthy food, then you are a kind of person who takes good care of your health and aware how this kind of food affect your body, health and whole life in general. yes we totally agree! its so important to eat well as it will affect our general well-being on all levels!